New (1) from $94.99 & FREE shipping. 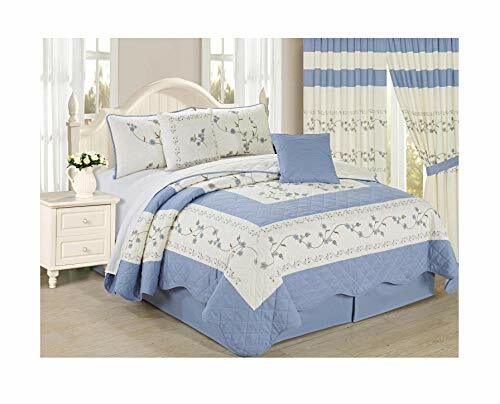 Size:King Size | Color:Light Blue Create a brand new focal point in your bedroom with a complete floral bed set for your king size mattress. 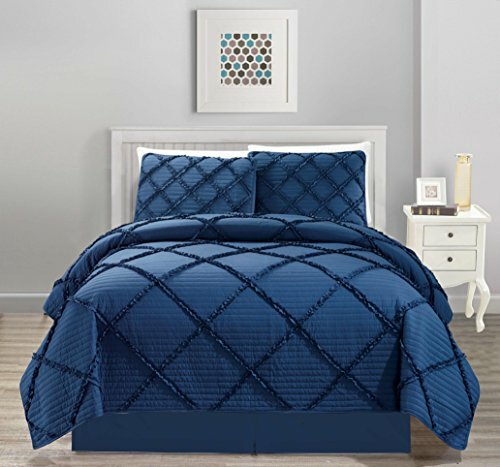 The Embroidered Floral Quilt set comes in a range of colors to suit any taste. The set comes with a quilt-stitched, floral bedspread that reverses to solid white and two coordinating floral pillow shams. 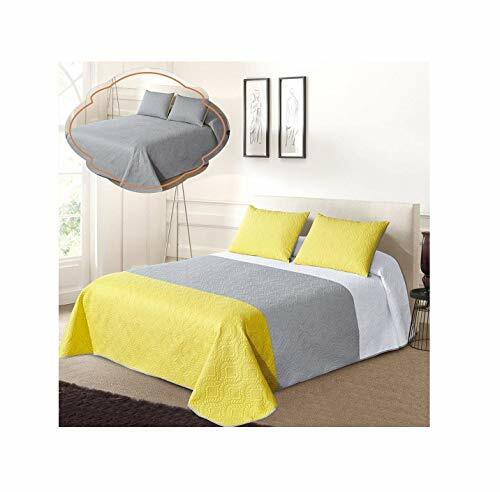 Also included is a coordinating, solid-color bed skirt with box pleats to cover your foundation. To top off the look, the set comes with two square decorator pillows in coordinating fabrics: one floral and one solid color. All pieces are made of durable, 100% Polyester for easy care.